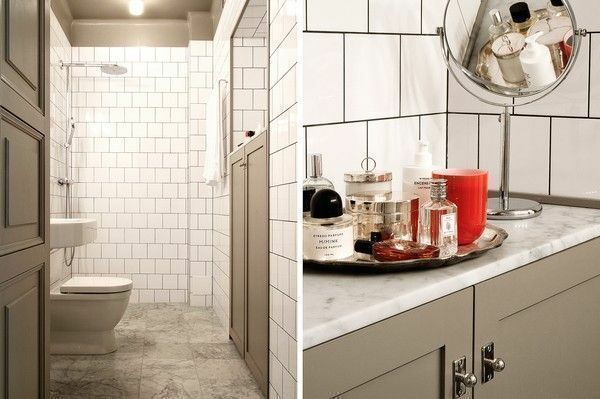 Stay away from common bathroom dangers with this guide. Serious accidents can happen to you in the small space that is the bathroom. Slips, falls, electric shocks—these are just some of the dangers we don't want to subject ourselves and our loved ones to. "Don't take risks!" warns Roxanne Reynolds in A Senior's Guide to Fall Prevention and Healthy Living. "[In the United States alone] there are close to 200,000 accidents in the bathroom each year. That's 70% of all home accidents." Victor Regnier, author of Design for Assisted Living: Guidelines for Housing the Physically and Mentally Frail, supports Reynolds' assertion: "The bathroom is often the most dangerous space in the dwelling unit. Falls can be devastating, and residents using toilets and shower can easily lose their balance." More accidents occur in the bathroom than in any other area in the house, says Susan Marley, author of The Smart Approach to Bath Design. She suggests taking extra note of safety concerns when designing your bath space. "This is especially true when those who will be using it are the most vulnerable: children and the elderly," she says. Reynolds stresses then that "a little bit of time spent installing safety precautions in your bathroom...can ensure years of accident-free living." 1. Keep bathroom floor clean and dry. The fastest way to maintaining a safe bathroom? Keep the floor dry and free of clutter. Mop it after every use as water on the floor and soapy surfaces can cause slips, falls, and electric shocks. Also, keep rubbish in the bin. A touch-free bin can help prevent slips as you don't have to bend over or step on a pedal to open it—throwing trash is quick and hassle-free. 2. Use non-slip mats and rugs. To reduce chances of slipping, use non-slip mats and floor rugs with non-slip backing in the tub, shower, and anywhere else you feel the need to place it. Hey, it's better safe than sorry! 3. Store electronics properly and keep them unplugged. Where there is a power outlet, there is always the danger of an electrocution. Bathroom electronics like razors and hair dryers should be unplugged when not in use and properly stored in a cabinet or shelf. 4. Keep medicines and cleaning materials out of children's reach. Kids are curious and would try anything they get their hands on. A few seconds is all it takes for them to put medicines or cleaning agents into their mouth. Keep these stuff out of their reach and sight. 5. Make sure your bathroom is well-lit—including the pathway to it. Because accidents happen in the dark, a well-lit bathroom is recommended to avoid such injuries. If possible, install the light switch outside the bathroom door so you don't have to step foot onto a dark room. It's also advisable to install lighting on the path to the bathroom for those who get up at night to use it. 6. Always check water temperature before using. You can score surprise burns and scalds after realising too late that the shower water is too hot. So check the temperature before you take a bath—turn the cold water first then adjust to your desired temperature. 7. Have elder-friendly bathroom essentials. Make toilet time safe and comfortable for the elderly people in the family by placing bathroom fixtures such as grab bars and shower seats that provide them support. These two are essential tools in an elder-friendly home. Grab bars come in various designs but an angled one that allows a two-handed grip is the most recommended for the toilet area. For the shower area, install a straight bar. You can also get them a shower bench or wall-mounted shower seat as they usually have a hard time getting up and down during a bath. 8. Ensure everything is properly installed. How can you trust a grab bar that keeps wiggling and shaking? Do you fear that your towel rack will fall any moment? Make sure all the bathroom fixtures are properly hinged onto the wall or installed in their rightful places. We don't want injuries from broken glasses, right? What are the ways you accident-proof your own bathroom? Share with us at hello@cromly.com.